You're one touch away from playing beautiful music on your own phone. 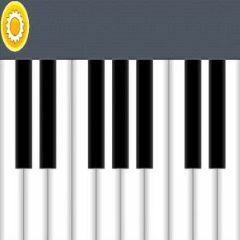 The music keyboard is easy to use. Press the keys or move your fingers across the keyboard to hear wonderful sounds. You can adjust the volume any time. You can play the tunes you once heard and enjoy playing them.